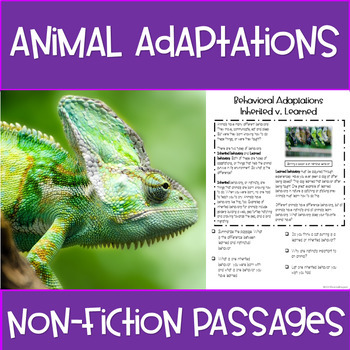 This resource includes two non fiction passages with comprehension questions. 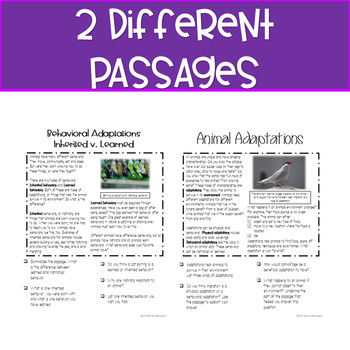 The first passage explains what adaptations are and the second passage compares learned and inherited behaviors. 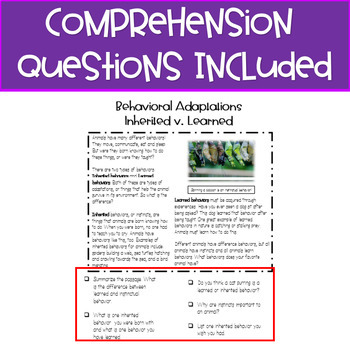 Perfect addition to an adaptation unit.